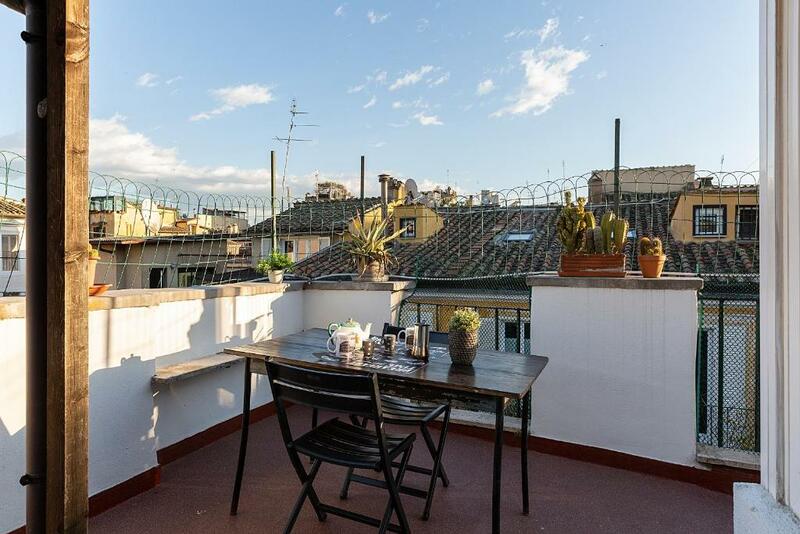 Tetti di Piazza Navona offers accommodations in Rome, an 11-minute walk from Piazza Navona and 0.7 miles from Via Condotti. The property features city views and is a 15-minute walk from Castel Sant'Angelo. The apartment has 2 bedrooms and a fully equipped kitchen with a microwave. There's a bathroom with a bidet, a shower and free toiletries. 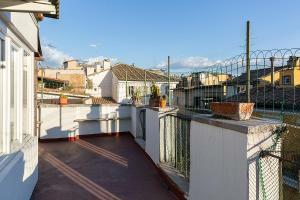 Torre Argentina is 0.8 miles from the apartment, while Pantheon is an 18-minute walk from the property. 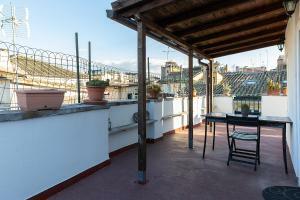 The nearest airport is Ciampino Airport, 11 miles from Tetti di Piazza Navona. Pantheon is a great choice for travelers interested in food, history and sightseeing. 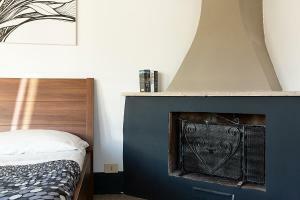 When would you like to stay at Tetti di Piazza Navona? This apartment has a seating area, fireplace and stovetop. 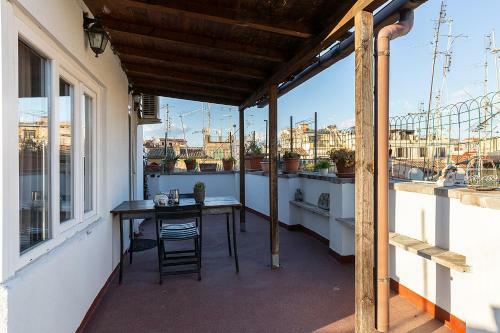 I tetti di Piazza Navona is located in the heart of the historical center, between Piazza Navona and the Pantheon, on the 4th floor of a historic building dating back to the 1600s. As with most antique buildings, there is no elevator. 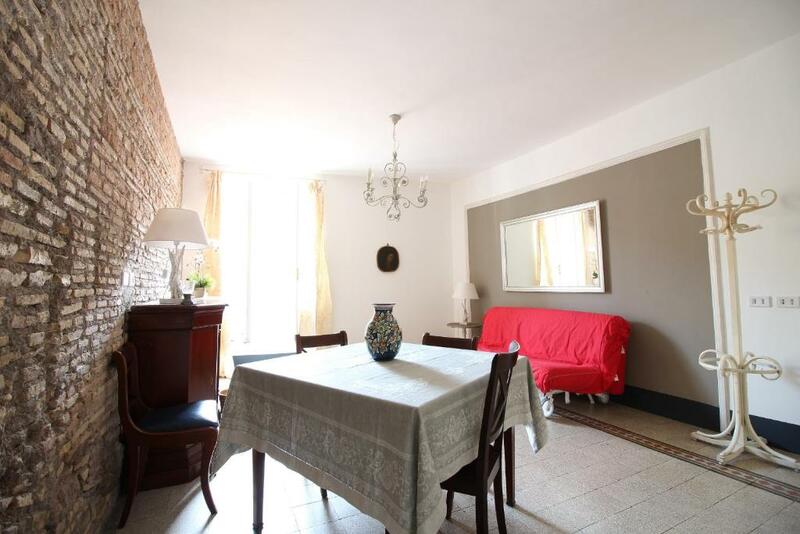 This charming apartment can accommodate up to 6 people. 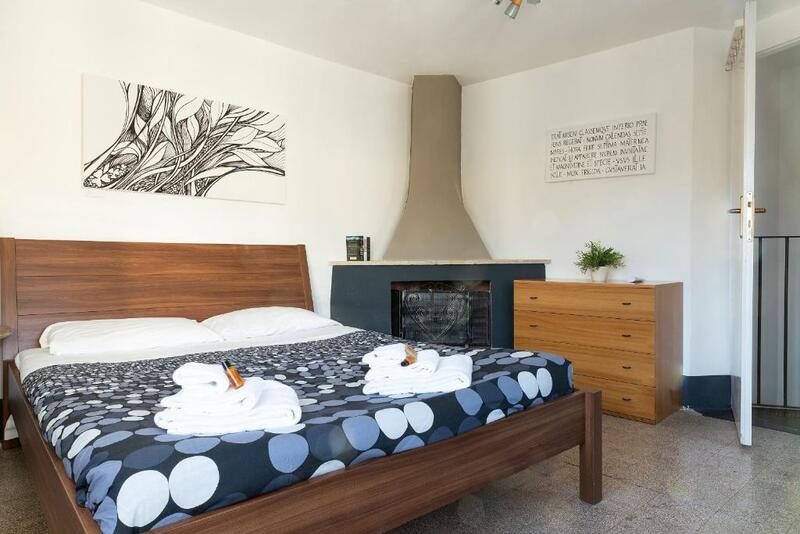 There is a living room with sofa bed, LCD TV, a small kitchen, a bathroom with shower and a bedroom with a single bed convertible in double bed. Furthermore, a romantic wrought iron spiral staircase will lead you to a truly exclusive master bedroom with fireplace and a window with a beautiful view of the rooftops of Rome. From here you have access to a beautiful terrace where you can take in this breath-taking city with its domes, the red roofs of the historic buildings, the tower of Parliament and flying seagulls. Together with the historic charm of this apartment are modern comforts like air conditioning and free Wi-Fi Internet connection. We will be happy to give useful advice on visiting the city and information about current shows and events in Rome. 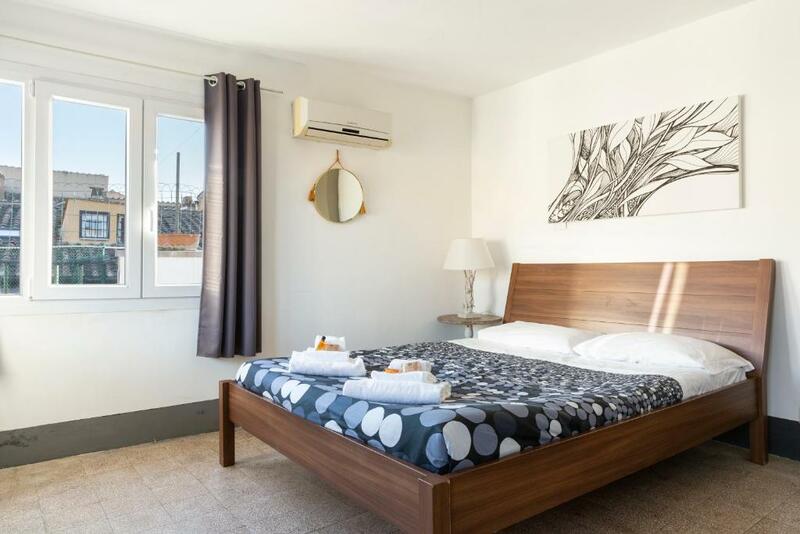 Stay In Rome Apartments is the key to finding the best solution for you and living the Eternal City in the comfort, privacy and warmth that only a home can provide. We offer prestigious, centrally-located apartments, fully-equipped with modern comforts so that you really do feel at home. Choose an authentic and comfortable stay in one of our homes, saving up to 50% on the cost of a hotel. House Rules Tetti di Piazza Navona takes special requests – add in the next step! A EUR100 damage deposit is required on arrival (around USD112.55). This deposit will be fully refunded 14 days after check-out, as long as there isn't any damage to the property. Tetti di Piazza Navona accepts these cards and reserves the right to temporarily hold an amount prior to arrival. If you check in between 20:30 and 00:00, you will be charged EUR 30. If you check in after 00:00, you will be charged EUR 50. All requests for late arrival are subject to confirmation by the property. Please inform Tetti di Piazza Navona of your expected arrival time in advance. You can use the Special Requests box when booking, or contact the property directly using the contact details in your confirmation. A damage deposit of EUR 100 is required on arrival. That's about 112.55USD. This will be collected by credit card. You should be reimbursed within 14 days of check-out. Your deposit will be refunded in full by credit card, subject to an inspection of the property. We need at least 5 reviews before we can calculate a review score. If you book and review your stay, you can help Tetti di Piazza Navona meet this goal.